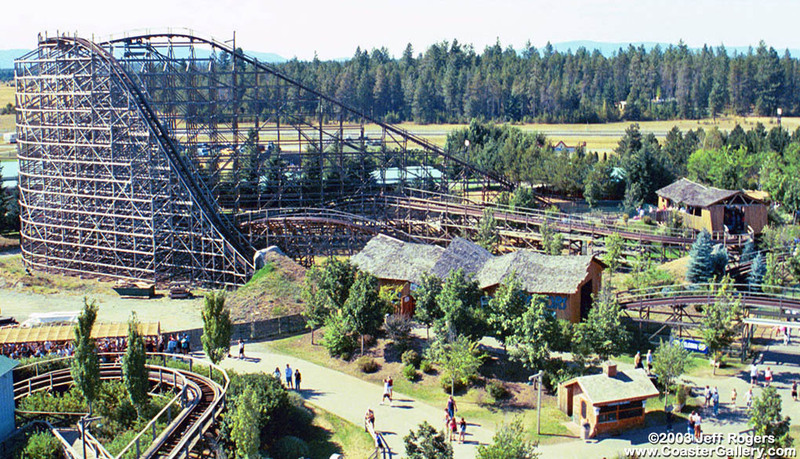 Silverwood Theme Park is the Northwest’s largest theme park, and here in Coeur d’Alene, we are lucky enough to be less than 30 minutes away from everything the 221 acres of fun has to offer. I’m sure you’ve heard a lot about Silverwood looking through our Vacation Rental Authority website, because all of our guests receive a Silverwood promo code that qualifies you for the cheapest admission tickets in the area. With multiple roller coasters, a full-size outdoor water park featuring a wave pool, slides, and more, Silverwood is one of best family activities in Coeur d’Alene and North Idaho. Silverwood also features an in-house magician, Nick Norton who performs a Vegas style magic show at multiple set times throughout the week. There are shows at 3:00, 5:00 and 7:00 during the week so no matter when you visit the park, you are sure to catch a show. One of Silverwood’s most popular entertainment attractions is the central railroad that takes guests around the entire park along a back woods track. Other entertainment options include the main street theater, the high-moon saloon, and of course appearances from Silverwood’s own resident mascots, Garfield and Odie. If you like wooden coasters, you’re in for a treat. Silvewood has two, and they are both equally hair raising. Tremors, one of the top rated wooden coasters in the nation, features an initial drop of 103 ft. as it reaches its top speed of 63 mph. Tremors is fun because it passes riders through a tunnel where your picture is taken, be sure to smile The other wooden coaster, Timber Terror, was the first roller coaster I rode at Silverwood. This coaster can be quite scary for younger guests. Belonging to a genre of coasters referred to as air coasters, as you go down the initial drop, you are likely to rise from your seat. I recommend making sure your lap belt is especially tight on this ride if that is something that will scare you. Some of my other favorite rides include the log flume, thunder canyon, bumper boats, tilt-a-whirl, the super round up and the scrambler. If you’re bringing the kiddos along, don’t worry, Silvewood has countless rides that are specifically designed for young children. Garfield’s Summer Camp for kids area has a new ride called the Barnstormer which gives children and adults alike the impression of flying among the clouds. Other kids rides include the frog hopper (a miniature drop tower), the kiddie copters, climbing trees, the carousel and the tiny toot roller coaster featured below. My favorite place to be in the entire park, Boulder Beach. Polliwog Park is the place to be for kids. Basically a giant jungle gym with countless water features, kids love standing underneath the giant bucket that fills up with water before dunking everyone in it’s reach. The water park also features two wave pools, three high speed thrill slides, a toddler play area and a lazy river. But my favorite ride in the water park is Avalanche Mountain. This ride can seat up to five people on a giant yellow tube as you’re launched up the sides of this awesome slide. You’ll be spinning, sliding and screaming with joy as you reach the bottom of this ride. Silverwood is now open for the 2015 season! Are you ready?! 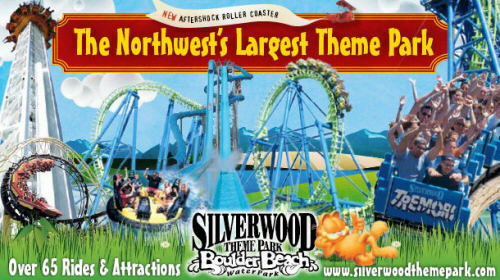 Comment below your favorite ride or attractions at Silverwood Theme Park. The VRA team will be at the park on May 29th for a day of fun and sun! We hope to see you there!